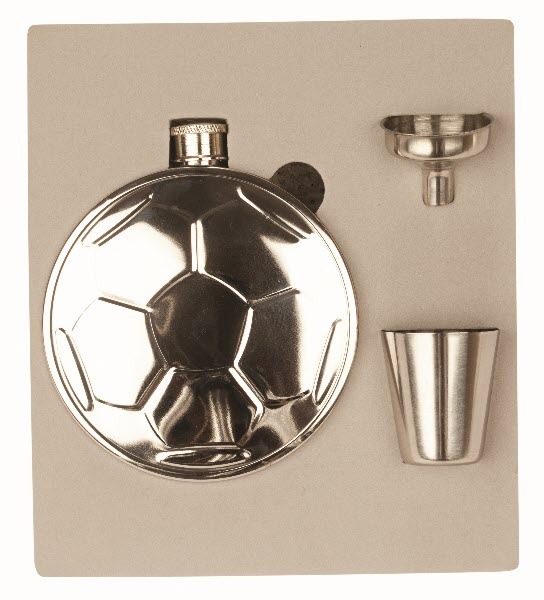 Engraved 5oz Football Hip Flask, Funnel, Cup and Gift Box. This great hip flask can be engraved within the centre part of the football of the hip flask, perfect for initials or a small message. Can be engraved in the same place on the reverse of the hip flask for an additional charge. A perfect unique personalised gift for Football Fanatics, Best Men, Ushers, Father Day's, Christmas...it's endless!